Create your very own decorative Mosaic Lino Repeat Block. 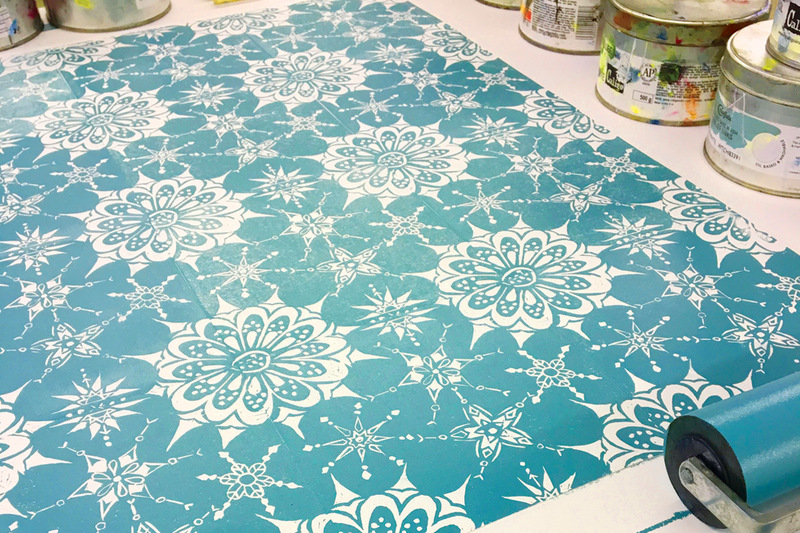 The workshop will introduce you to the essential skills required to translate a drawing into a repeat pattern. You will be shown how to carve your block, mix a colour, inking your block and printing a repeat pattern onto fabric and papers. 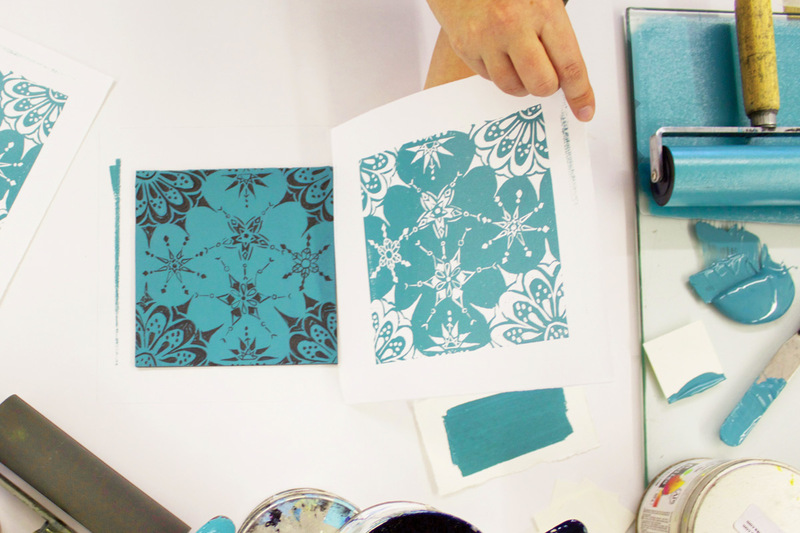 By the end of the workshop you will have created a range of hand printed fabric and paper to make into wrapping paper, cushions, wash bags or framed pieces. Our aim of this workshop is to provide you with skills you can take away and develop further. 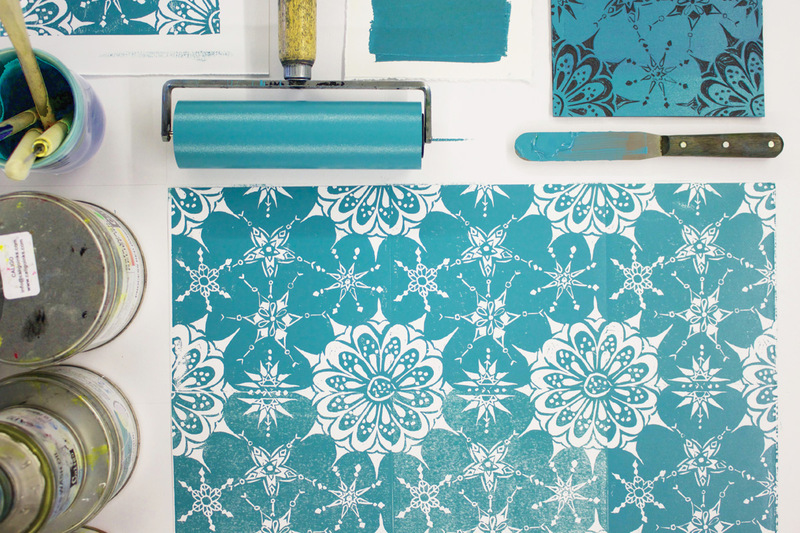 Tutors: Kiwi workshops are run by qualified printmakers Dena O'Brien and Ella Brett, both have a wealth of printing knowledge ready to help you make the most of your time at Kiwi. Booking and availability: Please email kiwiprintstudio@gmail.com let us know which course you would like to book onto and please provide your full name, email address and telephone. Details and directions will be supplied upon booking confirmation.